Town Business: Oakland Isn't Meeting Its Affordable Housing Goals; Is the City Discriminating in Contracting? 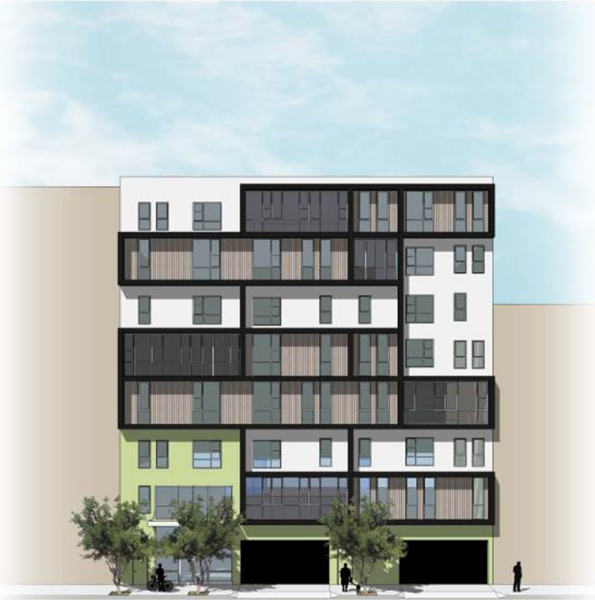 The 40-unit 632 14th Street was the only affordable housing project issued a building permit in Oakland in 2016. Affordable Housing: Like other cities, Oakland is required each year to report on whether it's meeting regionally-determined housing construction goals. This year's update, summarizing building permits issued in 2016, shows that while market-rate apartments and homes are filling up the city's construction pipeline, new affordable housing projects have virtually disappeared. 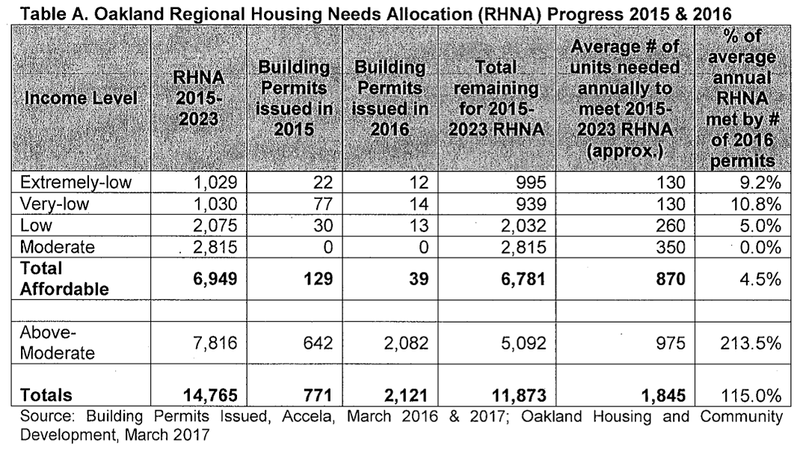 To keep up with the bare minimum goals set under the Regional Housing Needs Assessment, Oakland needs to build 870 affordable housing units every year. This is a minimum based on projections of economic and demographic trends. In reality, the city probably needs to do more. But last year, public agencies, nonprofits, and private developers only pulled building permits to add 39 affordable units. That's only 4.5 percent of the minimum goal. By contrast, Oakland's market-rate housing market has picked up a lot. In 2015, the city issued 771 permits for market-rate apartments, homes, and condos. In 2016, the number of permits jumped to 2,212. If most of these are built, the city will reach 100 percent of its yearly market-rate goal of adding 1,845 new units. But these are still bare minimums necessary to expand housing supply and mitigate price increases at the top of market. Oakland's $600 million infrastructure bond, Measure KK, sets aside $100 million for affordable housing. And the county's infrastructure bond, A1, also dedicates funding. But the loss of the state redevelopment program, and the long-term disinvestment in subsidized housing for low-income renters by the federal government, means that the amount of funding for new affordable housing is much lower than it was in the past. Does Oakland Discriminate? : Back in 1996, state voters approved Proposition 209 as part a Pete Wilson-era backlash against affirmative action. One of Prop 209's rules is that local governments can't consider race or gender when making decisions about who to award contracts to. In other words, local governments have to be colorblind, even though they weren't colorblind for for the nation's entire history and routinely shut out women-led and non-white owned firms. After two decades of litigating similar state laws enforcing colorblind policies, the U.S. Supreme Court found that local governments can implement race and gender-sensitive affirmative action policies, but only if they can prove that women and monitory-owned firms exist, are capable of doing the work, but are receiving a disproportionately lower number of contracts. In other words, a local government has to measure actual discrimination before taking steps level the playing field. Ever since Prop 209, Oakland has intended to determine, via a rigorous statistical analysis, whether its own contracting programs are discriminatory. This week, the City Council is set to approve a $490,000 contract with a consultant who will examine the past five years of contracting data from the city to see if women and non-whites are being disproportionately shut out of business opportunities. If the study shows evidence of discrimination, Oakland will revise its contracting policies.